The practice of interfaith - of different faith communities communicating and cooperating with each other - is nothing new. However, the nature of interfaith activity, and the thinking of those who have an interfaith mindset, stretch well beyond mere talking together and aiming to get along. Interfaith has become a powerful force for change during recent years. Most established faith traditions have been challenged to consider their own unique viewpoints, while growing numbers of people who shun traditional religions have found new communities to connect with that have grown up under an interfaith banner. 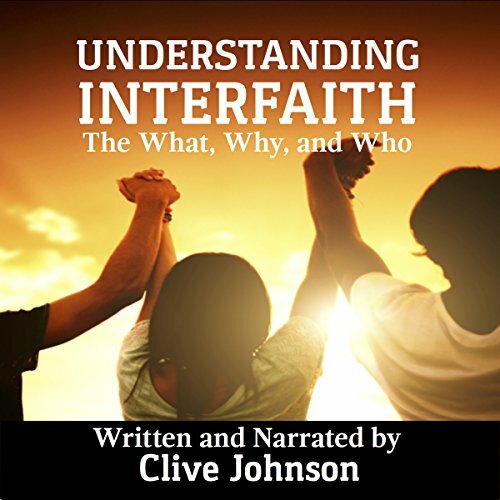 In this innovative book, Clive Johnson explores the wide scope, intentions, and varied initiatives of those who've sought to foster interfaith relationships. He considers the importance of such initiatives for individuals and for society, and looks at the challenges and opportunities that have been presented to the long-established faith traditions. By demystifying some misconceptions about what interfaith actually is, the book offers a valuable entry point for anyone questioning what interfaith, interfaith ministry, and the so-called "interfaith movement", are about. It answers questions such as how interfaith is relevant for those living in multifaith partnerships and communities, asks whether the rise in interfaith activity calls for a new religion, and distinguishes often misunderstood concepts such as pluralism, ecumenicism, and schism. The book includes an extensive list of resources, online forums, podcasts, and guidance for finding out more about what is one of the most important topics for spiritual and social development today. This is a well-researched book of many religious beliefs and traditions. I liked the concept that we make God too small by calling Him just a Christian.Christianity has only been on the scene for awhile. God has been here before creation! I loved listening to Understanding Interfaith. This very well may be a huge movement in the world today as I hope people from all faiths become more tolerant of others' beliefs and faiths. I've not acedemically but in my personal time studied the five major religions but as I'm older and wiser I now understand that there are way more than just those five. There's spiritualism, humanism, and many other paths but each person has their own path. This audiobook discusses this topic without being preachy. It's not intended to be that way. It's informative and thought provoking and perhaps meant to give a better understanding about the true meaning of Interfaith. I have attended a UU (Unitarian Universalist) Church in the past with friends and loved it. The author mentions Thomas Merton in this book and I've listened to books by him before as well. This was an excellent listen and I might add very relaxing. I am so glad Clive Johnson does his own narration. His voice is calming and I could listen to him all day. This was an outstanding listen for me.